Climbing, clamber, playing and discovering ... AXI playhouses provide endless and safe outdoor fun for kids aged 4 to 10 years. 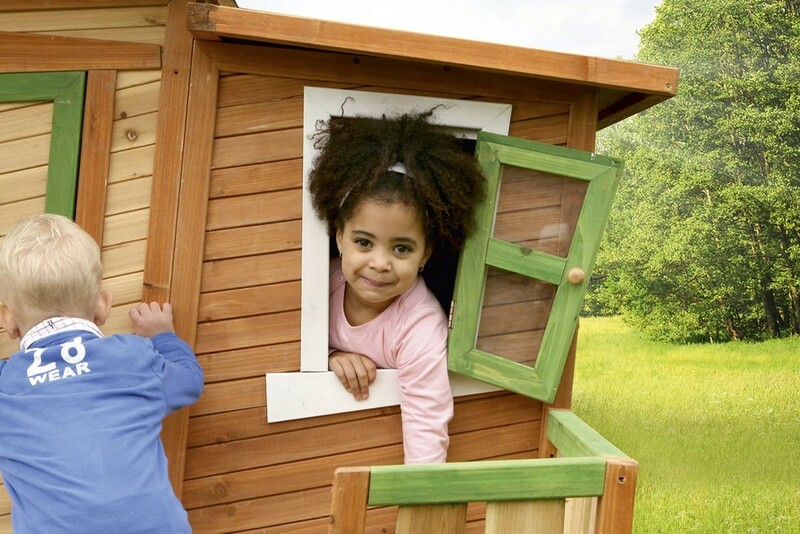 Playing in and around an AXI playhouse is not only fun, but also safe. 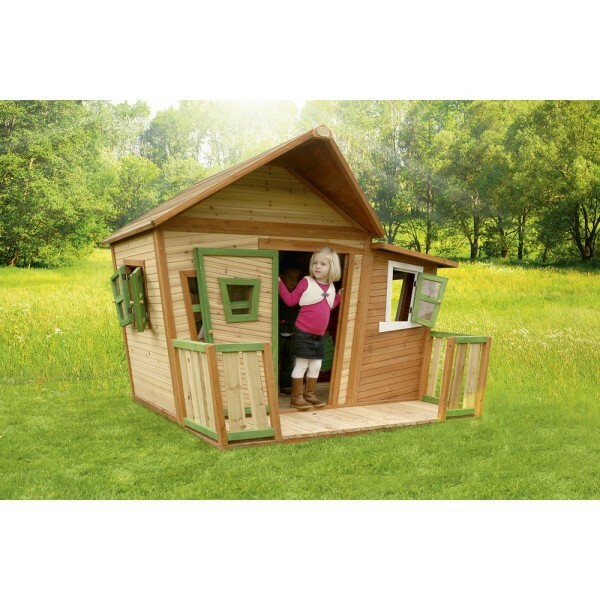 All playhouses bear the CE marking and are approved in accordance with the TÜV standard; one of the key standards for playing safety. 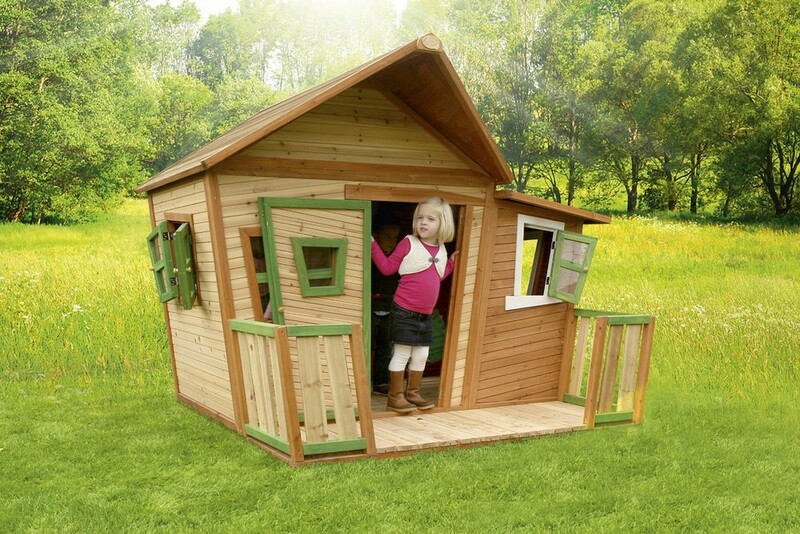 This Wooden Playhouse Lisa from Axi (A030.107.00) is made of asian cedar wood, which comes from responsible forests. In addition to an environmentally conscious choice, this type of wood also has the advantage that it has a natural defense against fungi, pests and wood rot. 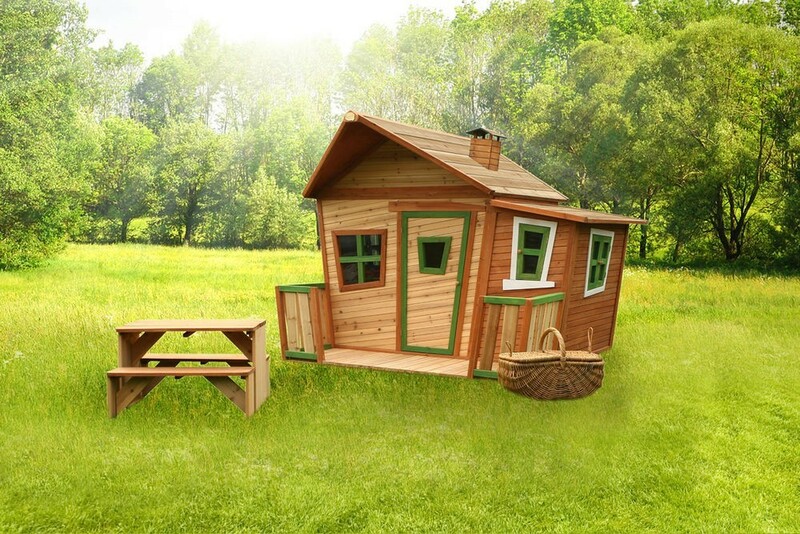 Each Wooden Playhouse from AXI has a 2 year warranty on the connections and accessories and a 5-year warranty on the wood. Simple construction using screws in pre-drilled holes. Not much maintenance required: 1 time per 2 years.